Mira’s classic design creates an elegant setting for any office and work environment. While Mira is very pleasing to the eye, by taking a closer look you will notice quality details that set it apart from its competition. Solid core writing surfaces are a full 1 5/8" thick and feature AA-grade North American veneers protected by a 100% UV-cured finish. Hutches feature stylish, frosted glass doors and fully finished interiors and backs. The finest quality workmanship, in-stock availability and affordability make it a very popular series. 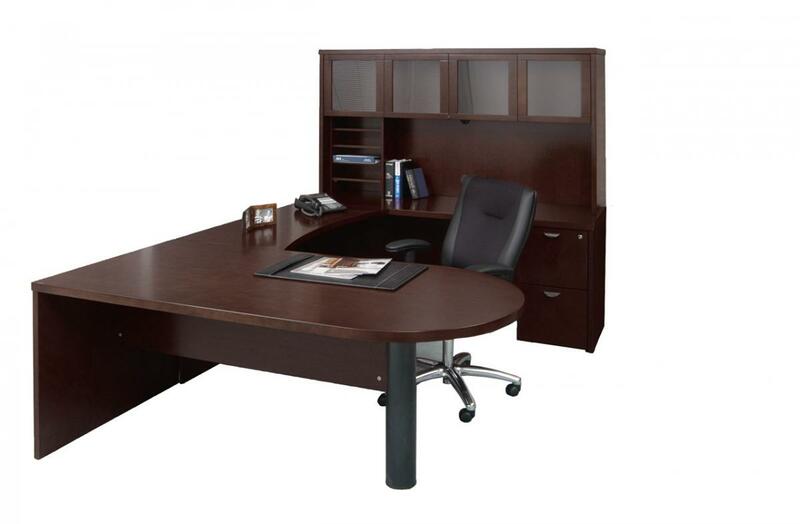 I would like to receive pricing for the following item: Mayline Mira U Unit - Peninsula Top.